Our signature event which sells out every year - a race from Cape Spear to Cabot Tower on Signal Hill. Includes an expo, brunch, personalized bibs, tech shirts, and a fantastic finisher's medal. Our event with the overall highest levels of participation across five events: Kids 1k, Family 3k, 10k, Half-Marathon, and Half-Marathon Relay. This event is always in support of a charity related to uniformed services, and includes a Battle of the Badges competition. This is one of the oldest continuous road running races in the province, with more than 35 years of racing. The course is fast and runs from the Mundy Pond area to Quidi Vidi Lake. It is a popular event as a tune up to the Tely 10 each summer. This race was created to support the endowment fund and annual award created by the club for the top male and female runners on the Memorial University cross-country team. The race is the kick-off to the summer racing schedule. 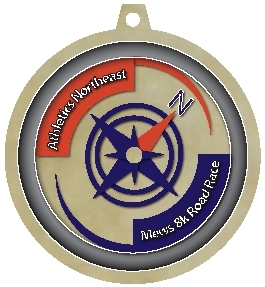 Combining an Open Race (for any participant) and a School Race for school age children, this event features the only mile race on the open road.